A high-ranking Ethiopian security officer reveled his country is supplying arms to South Kordofan rebels in an attempt to overthrow Sudanese president Omar al-Bashir. Speaking on condition of anonymity by phone, the security agent explained Addis Ababa is engaged in arming and giving logistics to SPLM-North rebels with the aim of gaining military equipment and political favors from Israel against arch-foe Eritrea. 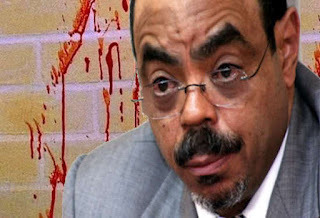 "Meles no longer feels there's any benefit in playing a neutral role in the Sudan. He firmly believes al-Bashir's days are numbered. His current strategy is to covertly supply arms to Sudanese rebels without raising suspicion from Khartoum. ", the Ethiopian officer said. "Even if Ethiopian military units were caught in the act of arming SPLM-North rebels, what can al-Bashir do? He's facing external and internal conflict, he is not in a position to return the favor. This is why Zenawi has caved in to Israeli pressures to arm Sudanese rebels", the Ethiopian officer explained. 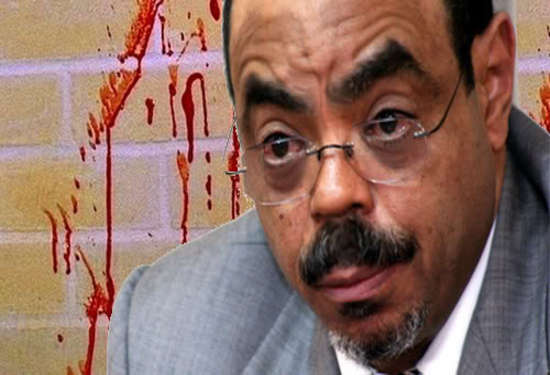 These accusations of arming Sudanese rebels comes just a few months after leaked diplomatic cables released last September showed Meles Zenawi stating to US officials that the Sudanese president is a "wounded animal" and would prefer to "remove the Bashir regime." Last Sunday's attack of a convoy carrying the governor of Sudan’s eastern state of Al-Qadarif by Ethiopian gunmen sparked political tension among two nations. As a result of the raid, Khartoum has sent military units to patrol the Sudanese-Ethiopian border to prevent further incursions by Ethiopian gunmen.